As preparation for the release of his new album, A$AP Rocky stopped by The Tonight Show Starring Jimmy Fallon to premiere some new music and get fans ready for the hits that are sure to come! 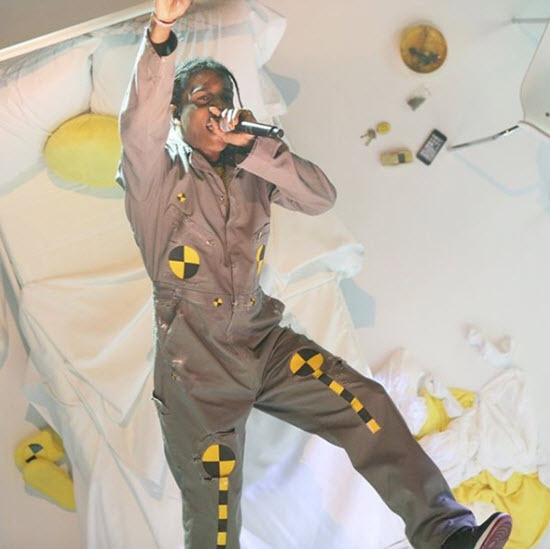 On Wednesday night (April 4), the A$AP Mob member performed a medley of his latest single “A$AP Forever” and debuted one of his forthcoming tracks “Distorted Records.” The performance kicked off with Rocky dressed in a crash test dummy suit while lying in bed. 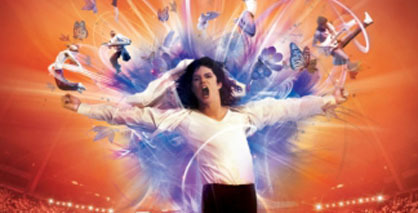 Before finishing the first track, Rocky glanced over where viewers can see two men wearing lab coats and gas masks watching behind a window. 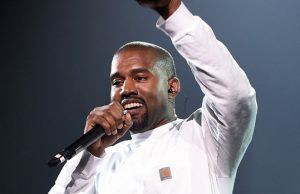 After performing the Moby-sampled track, the Harlem rapper then performed the noise-heavy single “Distorted Records.” Like the title suggest, the beat is distorted and listeners can hear the rappers voice scratched on the hook. For a while, Rocky has been teasing the forthcoming album. 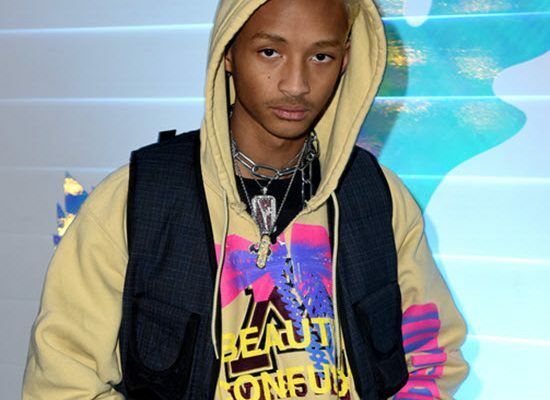 Back in February, the “f**kin’ problems” rapper revealed that his album is already finished during a show in Berlin, Germany. 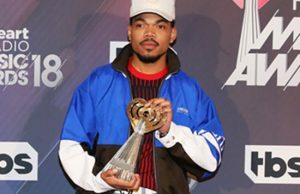 “A lot of y’all don’t know, but the only reason I came to Berlin is to finish my album that I just finished.” He said and as expected, the audience loved the news. Since the start of 2018, Rocky has released the records “Five Stars,” “Above” and “Bad Company,” which featured BlocBoy JB. Rocky’s last solo album, At.Long.Last.A$AP, released back in 2015 and gave the rapper his second number one album on this Billboard 200. Watch A$AP Rocky’s performance and the official video for “A$AP Forever” below! 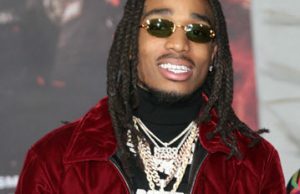 Quavo Debuts Solo Album “Quavo Huncho” Featuring Drake, Cardi B, Travis Scott and More!